Against And Forward / Вперед Вопреки Всему: The Red Coat. Elegant Version. 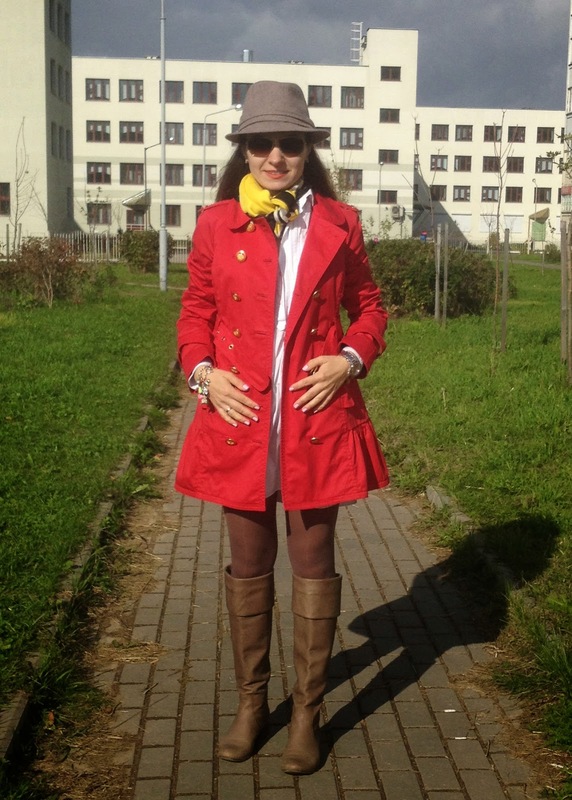 Ok, the easiest way to style a red coat is to make a ladylike elegant look. So, my solution was a white shirt dress and taupe accessories. This hat and boots are amazing, they are neutral, so they can be added to any outfit, and immediately give it a huge "polish". I just added a few little fun accessories like these bracelets, and red lipstick of course. I can't resist how amazingly this red shade of lipstick matches the color of the coat. 1. Prepare the red coat and a matching red lipstick. 2. Then layer white and taupe (or tan) colored items around it as much as you want. 3. Finally, add a handful of little accessories in bright colors.